Local businesses are vital to the success of our schools and students. The support they show our students in the form of mentoring, internships, financial support, and serving on advisory committees make our school a better place and students better prepared for the future. Taking a moment to recognize their efforts is important to us. 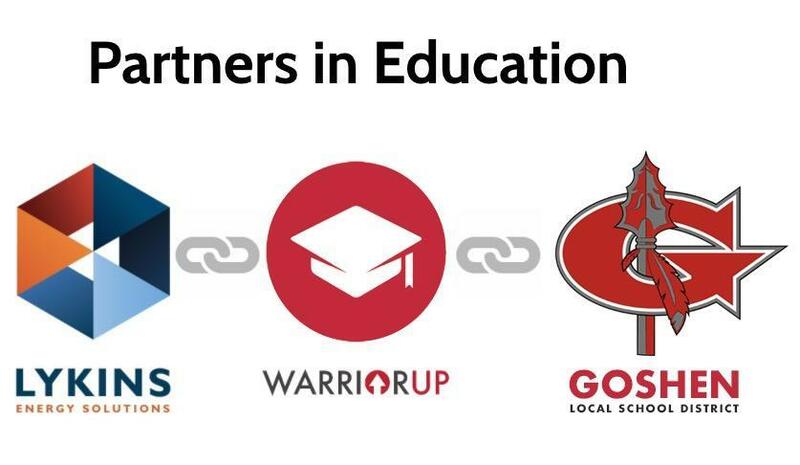 We look forward to continuing to build relationships with our business partners for the success of our students and development of our community. 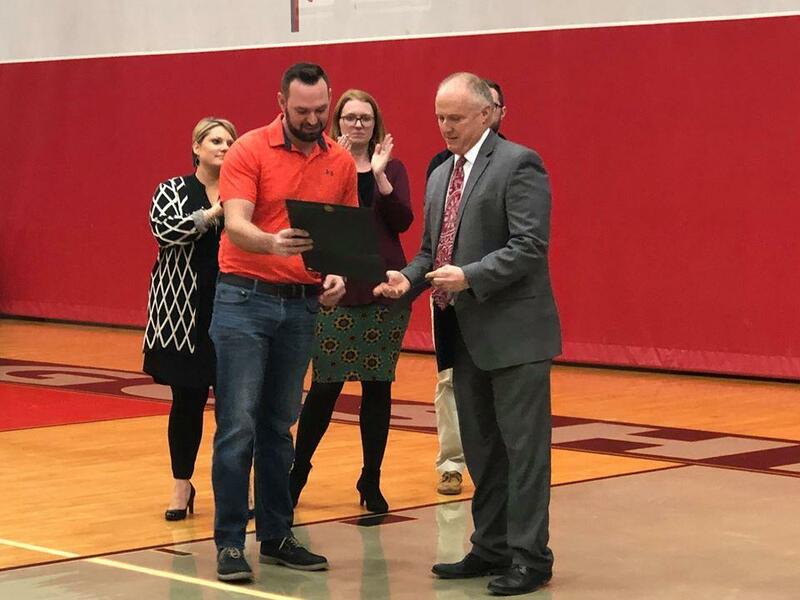 The Goshen Local School District came together to celebrate our business partnerships the evening of January 22, 2019. Over 60 of our business partners were given the opportunity to see the results of their work as members of the Business Advisory Committee and their support of our schools. Local businesses are a vital part of the school community and contribute in many ways to make a difference in the students’ lives and education. 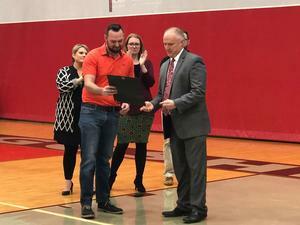 A reception was held in the auditorium of Goshen High School. Business partners were provided certificates of appreciation and a "G" pin for all their efforts in going above and beyond for our schools. Each business was then recognized at center court in front of the entire community prior to the start of the Varsity Boys Basketball game vs Madeira High School. 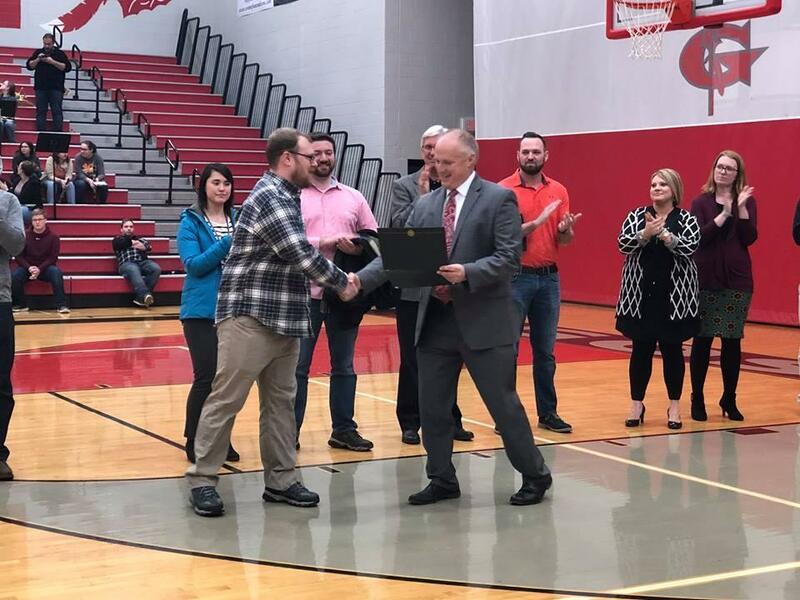 For the 9th year Goshen Local Schools selected a business partner to be added to the Ohio School Boards Association Business Honor Roll for their role in providing continued opportunities to our students. 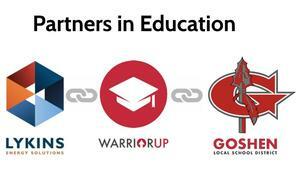 The Business Honor Roll program was created to provide school districts the opportunity to recognize and say “thanks” to these local businesses for their support and contributions. Lykins Energy Solutions and The Siemens Company have played key roles in supporting the community and our students over the past several years. Members of the both teams have been instrumental in mentoring our students, participating with Junior Achievement activities, helping sponsor billboards to support school district and student initiatives, being a Speed Mentor, being a member of our Business Advisory Council, and lastly being a member of the Clermont County Chamber of Commerce Work Readiness Initiative. Thank you Lykins Energy Solutions and Siemens for all the ways you contributed to our schools!